M 50 is home to Shanghai’s budding art scene. On our way back, we stumbled into a movie or ad film shoot of sorts. Actors dressed in Roman costumes waited patiently for their time on film. On the opposite side of the road, we found a group of young teens posing with street graffiti, taking selfies or pretending to be the artists themselves. 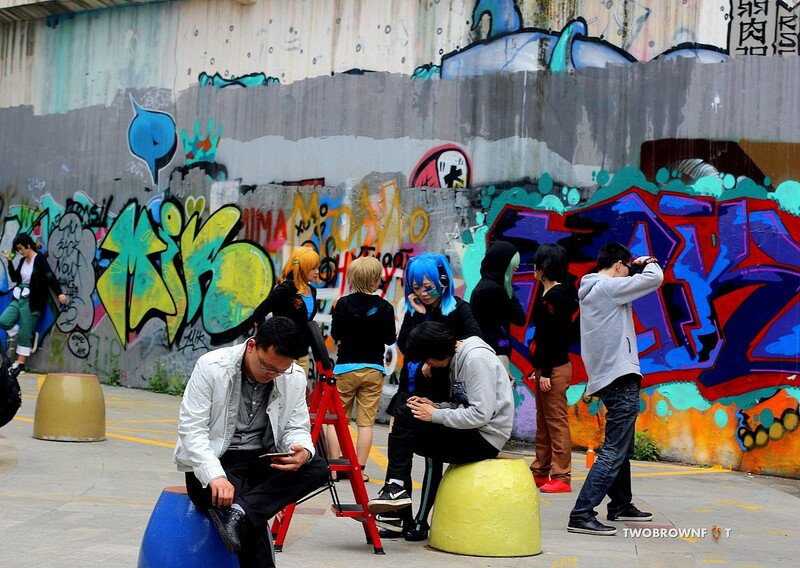 And although, we couldn’t ascertain for sure if they were part of the film crew or just a group of young teens fooling around; they surely seemed to match the vivid colours of the graffiti pretty well with their wigs.